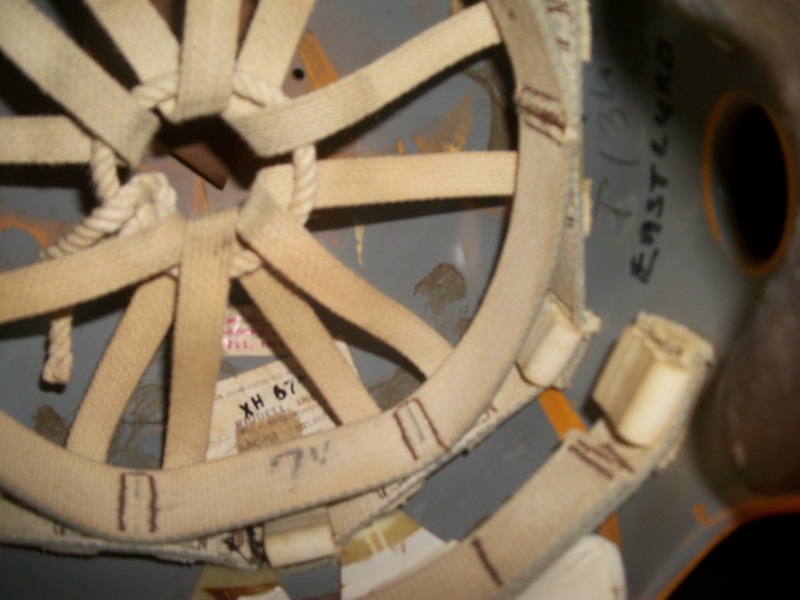 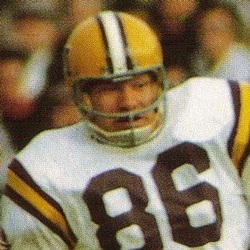 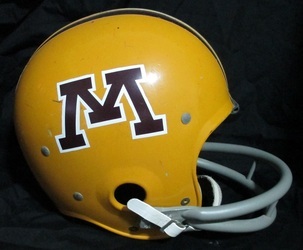 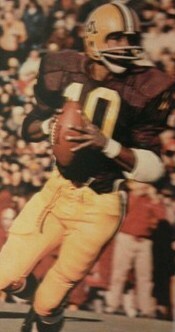 The Gophers stayed with Riddell Kra-Lite helmets from 1968-71. These mustard gold colored helmets are the first to use the brick M on the sides. There is a center white stripe bordered by two maroon stripes in taped on. 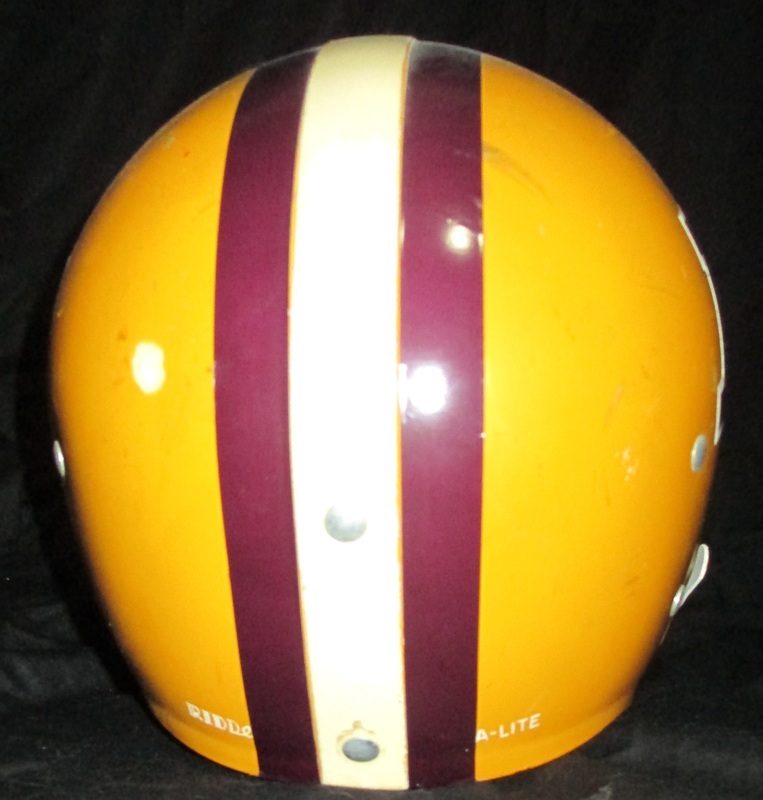 We've noticed the width of the stripes varies from helmet to helmet, and this not dependant on seaonThe Gophers used gray facemaks of varying styles in this era. The Gophers used player numbers of back of the helmets for the first time since they were painted on the leather helmets of the late 1940's to 1950. 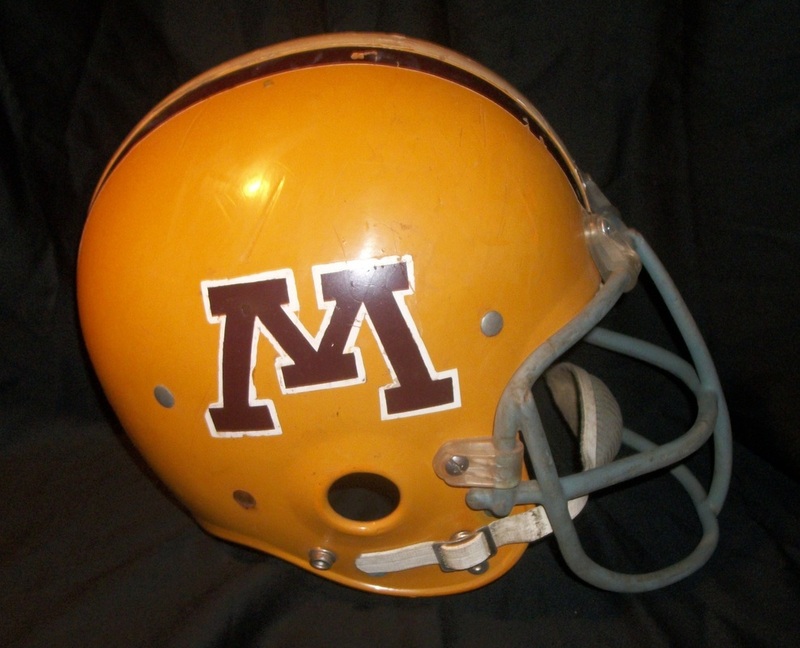 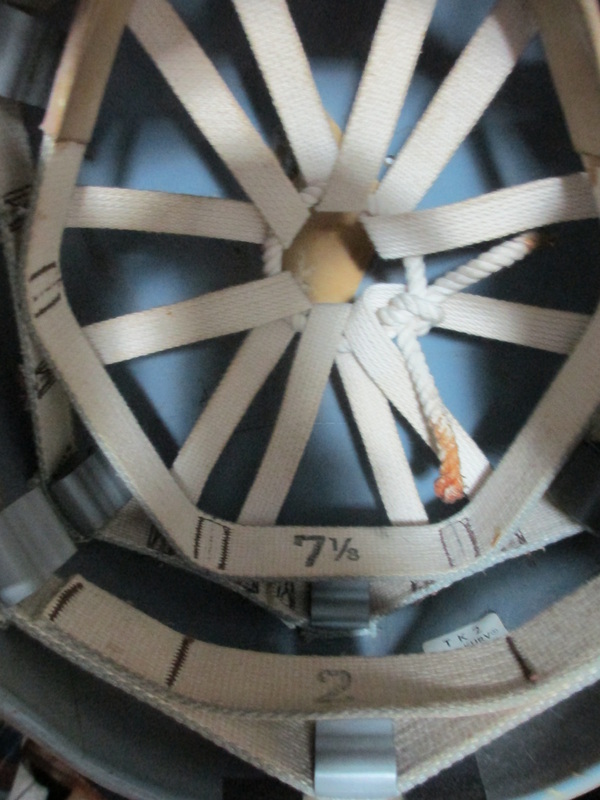 All of the helmets of this era were 12 point suspension helmets. 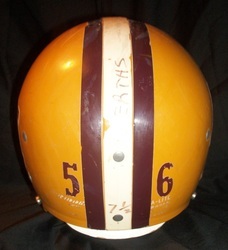 Names and sometimes numbers were written inside the helmets in black marker. 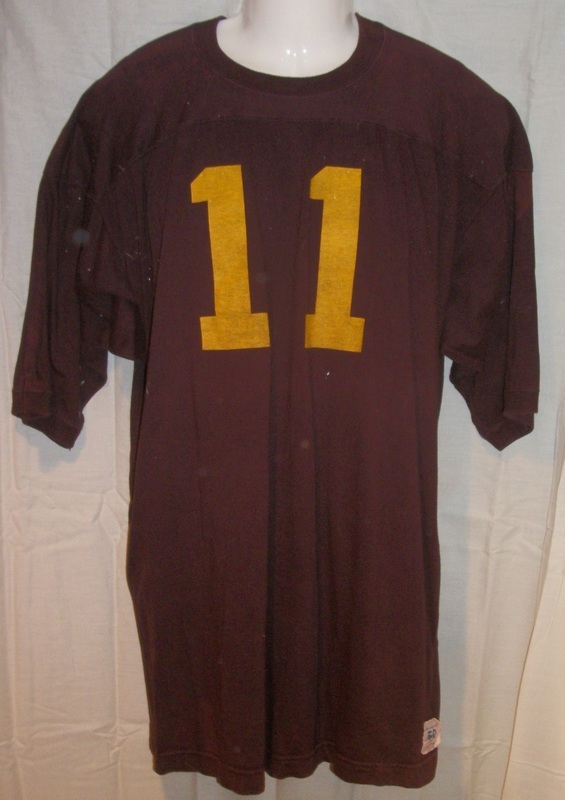 The Gophers wore the same basic home and away jersey design as during the 1968-71 era as the previous 1960-67 era with some minor changes. The material changed from durene to cotton. The numbers also changed from being sewn on to screened on. 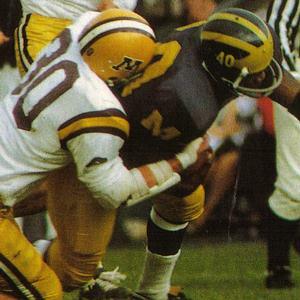 The home pants also changed from white to mustard gold, similar in color to their 1960-67 pants with a white stripe bordered by two maroon stripes. 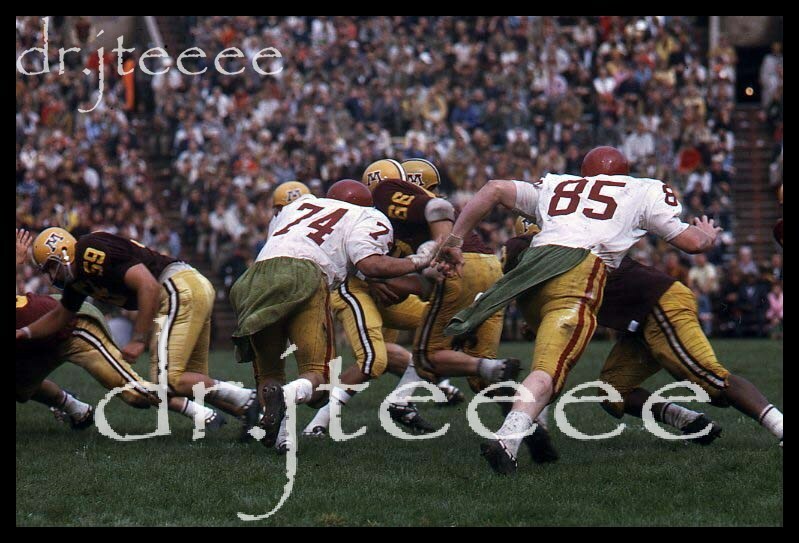 The Gophers also stayed with white socks with black shoes, although the white socks lost the maroon stripe. 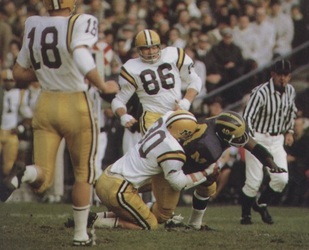 The away uniforms used the same pants as the home pants. 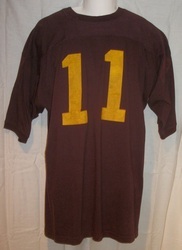 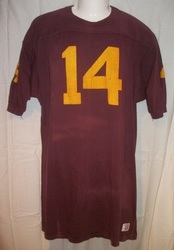 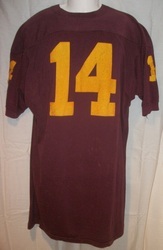 We own home jerseys worn by Walter Bowser and Jim Herman pictured below, but do not have any of the away jerseys. 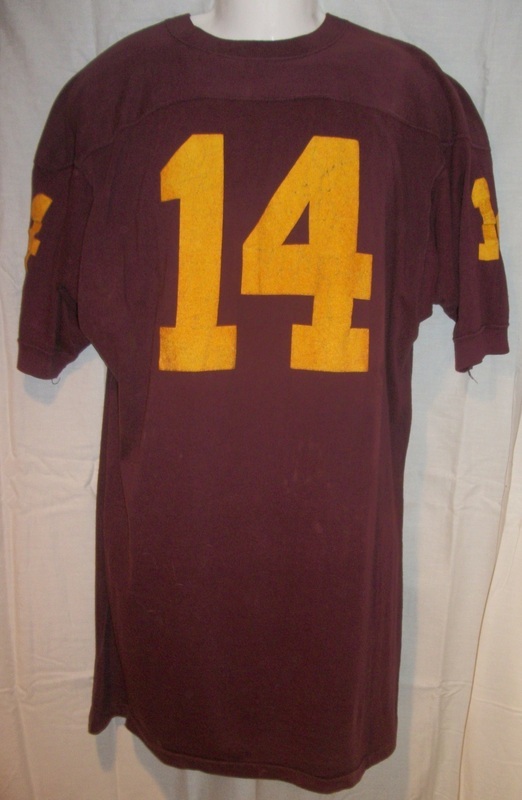 Jerseys from this era are very difficult to find.